James Earl Rudder confronted challenge head on throughout his life from the harsh landscape of far West Texas, to the sands of Normandy, the Battle of the Bulge and back home to Texas to hold key statewide leadership positions for both the state of Texas and ultimately president of his alma mater Texas A&M University. For his service in time of war, Rudder, who rose to the rank of Major General, earned the Distinguished Service Cross, Legion of Merit, Silver Star, Bronze Star with Oak Leaf Cluster, Purple Heart with Oak Leaf Cluster, French Legion of Honor with Croix de Guerre and Palm, and Order of Leopold (Belgium) with Croix de Guerre and Palm. In 1959, Earl Rudder became the 16th president of Texas A&M and set the course for the institution to take its place on the national and world stage. He recognized that in order to keep the University competitive change was needed. Under his leadership, the school changed its name from Texas AMC to Texas A&M University, opened enrollment to female and black students, and made participation in the Corps of Cadets optional. While a student at A&M, Hollingsworth began his average day at 4 a.m. working at the A&M Dairy, followed by cadet drills, all-day classes, and concluding with a final shift of work at the dairy. Hollingsworth entered the Army after graduation and, during World War II, he participated in seven major campaigns, from North Africa to the occupation of Berlin in 1945. During the Battle of the Bulge, Hollingsworth was wounded twice and was evacuated for medical care. Anxious to return to his unit, he left the hospital without being released (AWOL–Absent Without Leave) and hitchhiked from Paris to Liege, Belgium to rejoin his unit in the fight. 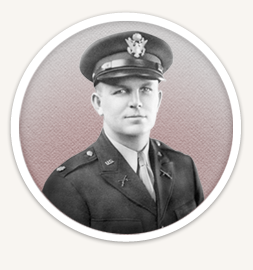 His career of service continued after WWII with command positions in South Korea, Vietnam, and the United States and he was, by many accounts, the most decorated military officer to come out of Texas A&M. 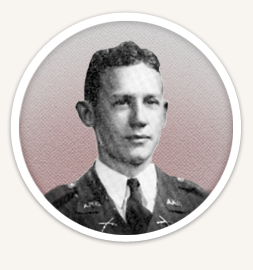 Hollingsworth was a fierce champion of and mentor to the Texas A&M Corps of Cadets. A statue of Hollingsworth stands prominently on campus in the center of the Corps Quad and bears the inscription “Danger 79er,” Hollingsworth’s radio call sign. While at Texas AMC Turney Leonard was known as a conscientious and hard-working student who earned Distinguished Student status and was inducted into the Scholarship Honor Society. 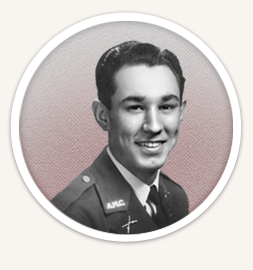 Upon graduation, Leonard was commissioned a second lieutenant in the U.S. Army and in July 1944 found himself leading a platoon of tank destroyers as they pressed their way from Normandy towards the German border. As they reached Belgium in September of that year, Leonard’s platoon faced a relentless German attack in the grueling and bloody battle of the Huertgen Forest. 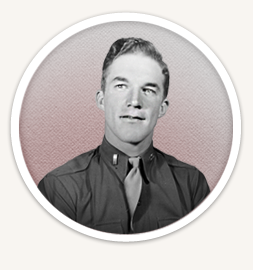 Young Leonard’s heroic and selfless acts in that battle earned him posthumously his country’s highest honor, the Congressional Medal of Honor. Decades later the mystery of a gold ring found on that battlefield brought together former enemies in ways never imagined. The Aggie Ring is one of the most cherished and visible symbols at Texas A&M. The tradition began with the class of 1898. In the early years the ring appeared in several different designs until E.C. 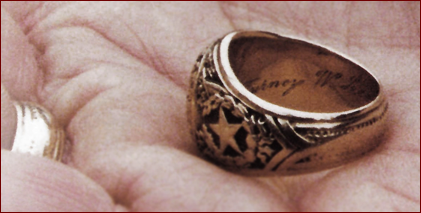 Jonas, Class of 1894, designed the ring that has been worn by Aggies ever since with only one change in 1963 when the Legislature of the State of Texas changed the university’s name from Agricultural and Mechanical College of Texas to Texas A&M University and the ring was updated to reflect that change. 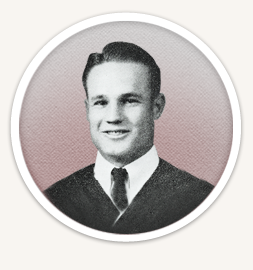 Turney Leonard went to war proudly wearing his Aggie ring which displayed his class year ’42 below the shield at the center of the ring and his name on the inside of the band. Shortly after the war, a young German was part of a team assigned by the Americans to clear the wreckage of war in the Kommerscheidt area. During their search, the young man came across the expected evidence of battle—shell casings, belt buckles, buttons. He saved some items as remembrances of this terrible event and these mementos eventually found their way into a box which sat undisturbed in his attic for 56 years. In the fall of 2000, this man was asked by his son-in-law, an officer in the German army, to relate his memories of the war. The older man brought out his long forgotten box of items collected from the battlefield. In that box the younger man saw the war artifacts he would have expected but also spotted a gold ring and knew that this ring had to have been special to someone. They set out to find the owner. When their initial efforts to identify the owner of the ring were unsuccessful, they turned to a US Army Liason Officer in Cologne, Germany for assistance. That officer quickly identified the ring as an Aggie ring and all were surprised when they learned that the ring belonged to Medal of Honor recipient, Turney Leonard, who had lost his life on that battlefield near Kommerscheidt. Texas A&M was contacted and within a week the German officer, Lt. Obit Volker Lossner, was on the A&M campus returning the ring to Turney Leonard’s only surviving sibling, Douglas Leonard. Lossner humbly expressed his gratitude for his country’s former enemy. At that ceremony, Turney Leonard’s family presented his ring and his Medal of Honor to the University. Both are now on permanent display in the Sanders Corps Center on the A&M campus. But the story does not end there…Lt. Lossner saw something special during his visit to Texas A&M University. He was inspired by the Aggie Spirit. Today, Lt. Lossner’s son, Sebastian, walks the A&M campus as a proud member of the class of 2016. He reflected that he will often visit the Sanders Corps Center and look at the case holding Turney Leonard’s ring and re-read Leonard’s Medal of Honor citation. And he is filled with gratitude for this man, who he never knew, who sacrificed so much and touched his life and the lives of so many. Sebastian will receive his Aggie ring next year. Willie Peña grew up in South Texas near the Texas and Mexico border. He had always enjoyed drawing, and decided to attend A&M and major in architecture at the encouragement of his older brother. Upon graduation from A&M, events began to move rapidly. He graduated on a Friday, was commissioned in the U.S. Army on Saturday, and reported to active duty at Fort Sam Houston in San Antonio on Sunday. Peña was transferred to Europe in August 1944 and, by November, was with the advance group pushing towards the Ardennes on the eve of the Battle of the Bulge. As the Battle dragged on, Peña’s battalion took heavy losses and was down to a company size unit. On March 4, 1944, while repairing a broken communications line, Peña stepped on a land mine. The detonation resulted in the loss of his left foot and ankle. Peña spent two grueling years in hospitals recovering from his devastating wounds. But he did prevail, and, in 1947, returned to A&M to finish an additional year of studies. Refusing to be limited in any way by his war injury, Peña proceeded to become one of the nation’s leading architects as a founding member of CRS. In time, CRS grew from four original partners to over 3,000 employees in 32 offices around the world.